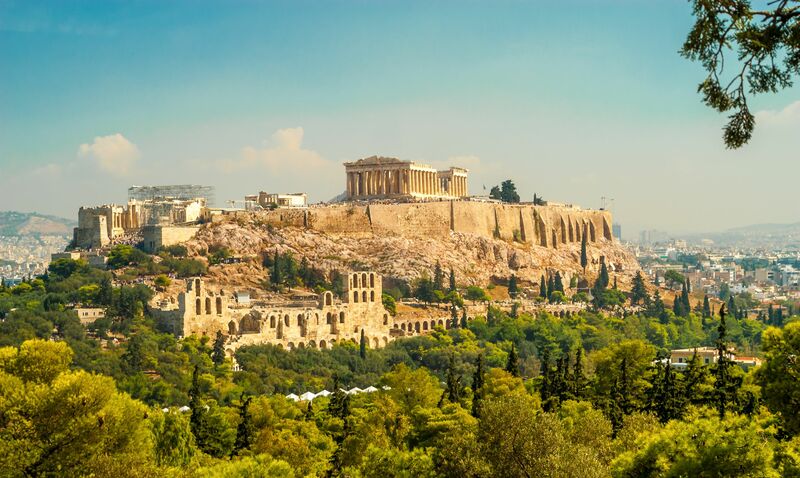 Explore this historical city whilst staying at the five star Grand Bretagne Hotel in an unrivalled setting in the centre of Athens. With décor reflecting the art and classic architecture of ancient Greece, this hotel is sure not to disappoint. Choose from 320 guest rooms and grand suites all with spellbinding views over the courtyard or the city’s historic sites. Experience sophisticated but authentic Greek cuisine at the Rooftop and Corner restaurants and enjoy the lounge and several bars for Champagne, cocktails and cigars. Dine in the Hotel Grande Bretagne’s roof garden and not only will you be enjoying some of the most sophisticated food in Athens, but you’ll also have the Acropolis at your elbow. The Grande Bretagne enjoys a setting that puts the great sights of Athens on your skyline, and the city’s historic culture, shopping opportunities and nightlife at your feet. It is the classic place to stay while you’re visiting the classical relics of Greece’s ancient past. Mind you, the hotel has an impressive history al its own. Established more than 140 years ago, it quickly became recognised internationally as one of the most civilised places to stay on the grand tour. The same could be said today – the Grande Bretagne continues to win award after award for its luxury and grandeur.